Only available through Michael’s online store! 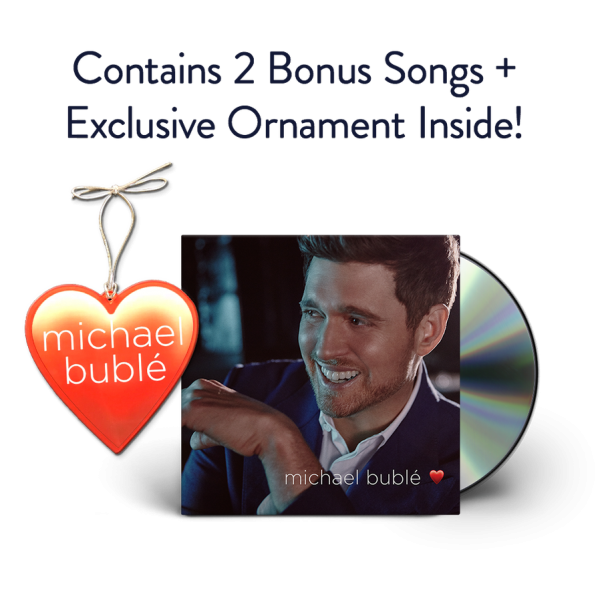 love Deluxe Edition Contains 2 Bonus Songs + an Exclusive Ornament Packaged inside of the CD! The exclusive heart acrylic ornament measures 4”and comes with silver string.